Start planning your camping adventures with the 2019 Keystone Bullet 290BHS Travel Trailer! National RV Detroit, located in Belleville, Michigan, has been one of the top full-service RV dealerships in Michigan and the entire country since 2008! That's because we offer all the top brand RVs - toy haulers, travel trailers, 5th wheels, motorhomes, hybrids, and more - at wholesale prices! We have a great selection and a nationwide best price guarantee, so you'll find the RV of your dreams and get a deal that you'll love! Stop in and see us at 44700 N I 94 Service Dr Belleville Michigan 48111, and let our friendly, knowledgeable staff help you select the perfect RV for your family! We deliver anywhere in North America, so even if you don't live in the Belleville area, you can still go online, check out our huge inventory, and then call us at 734-439-3400. 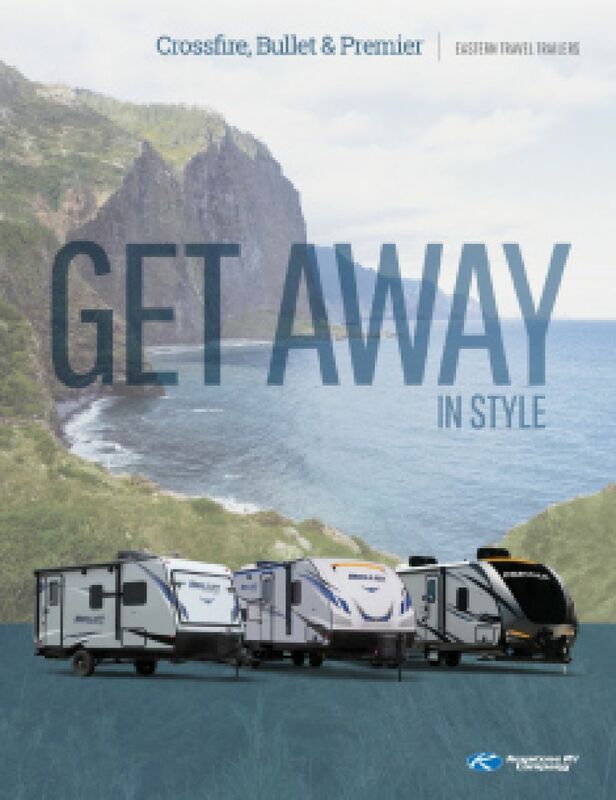 With our fast, reliable, 24/7 delivery, your dream RV will be at your door in no time! And you'll save $1000s! 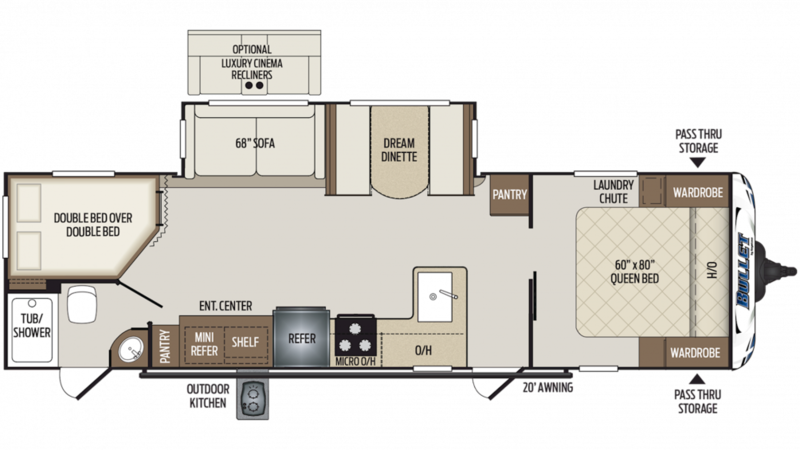 There's comfy living inside this 33' 9" long, 8' 0" wide Travel Trailer, especially with its 1 slides that maximize the interior space. It's 10' 8" high, so you can stand up, walk around and stretch out! And no matter how bad the weather outside, the modern 13500 BTU a/c unit and efficient 30000 BTU furnace will keep the climate inside comfy and pleasant! The master bedroom of this comfy camper features a wonderfully snug and cozy Queen bed! There are enough sleeping accommodations for up to 10 people! Store all of your fresh food in the reliable 6.00 cu. ft. refrigerator! You'll also find a sink, a 3 burner range cooktop, and other modern cooking appliances in the kitchen! The 43 gallon fresh water tank ensures that you'll have clean drinking water for the entirety of your stay! Step into the full bathroom and you'll find your family's own personal Foot Flush toilet and shower! There are 40 lbs. of LP tank capacity, so you can make your showers as hot as you wish! Dirty water and waste are stored in the 60 gallon gray water tank and the 30 gallon black water tank, respectively, so the whole process is discreet and sanitary!